Some of you might be surprised upon reading this. Maybe quite a lot of you would be, at hearing that I recently went to Seoul, Korea for plastic surgery at Banobagi, thanks to DocfinderKorea (a medical concierge service). It was really when a good friend of mine asked if I’d like to go to Korea with her to do plastic surgery about 4 months back. Then I thought, maybe I’ll do something too, so I agreed. I didn’t think about it much after that, since there’s still so much time. Then, about a month ago, I came across a blog post about a medical tourism service called DocfinderKorea that helps foreign tourists find the best clinic in Seoul to do plastic surgery. The agents will also help you to negotiate the prices (because foreigner price is always higher when quoted by the clinic) and arrange for your trip logistics in English. That sounds perfect, so I decided to get in touch, which is one of my best decisions ever. Some people might think it is wrong to modify how you look surgically, that everyone's perfect the way they look, but I don’t think there’s anything wrong with it as long as it is done reasonably with calculated risks/pain and gives the person what the person has always wanted (closer to "perfection"?). I know I don’t NEED to do anything to my face, but I am financially and physically capable and I want to. Regardless of what other people think, it’s my life, my face and I can do whatever I want to it. And because it is my life and my face, I want it in the best of hands. That’s why I am so glad I had DocfinderKorea to help. 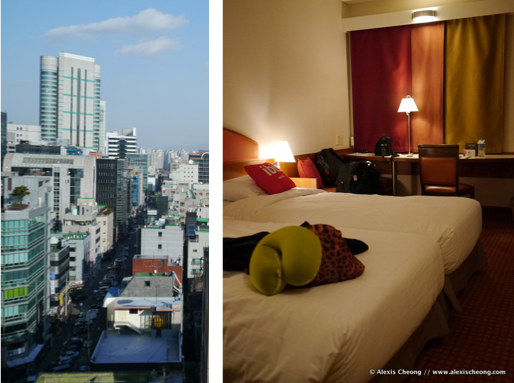 When it first hit me that I am really going to Seoul in a matter of weeks, I started to research online on where to go and what to do. I looked at forums, blogs, everything I can Google. But I was still working then, and my time was limited. I also realized that information was pretty scarce when it comes to clinic reviews, information and comparisons. There are a few local bloggers who talked about their experience, but it wasn’t enough to tell which is the best plastic surgery clinic in Seoul. 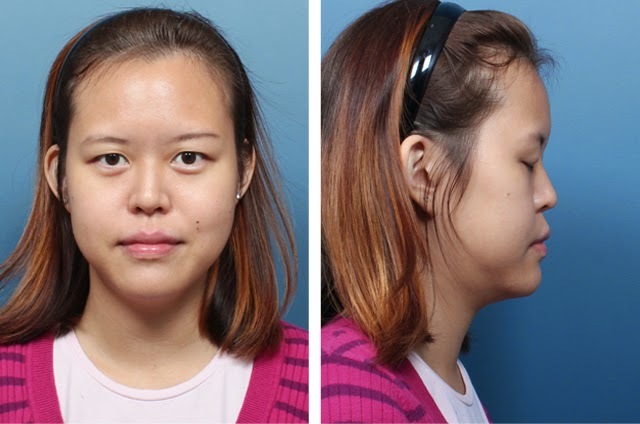 Every clinic has photos of similar before/after on their website, and I don’t know how to tell from those. I later found out that Koreans use Naver almost exclusively (their version of Google), and all the information about local services is listed there instead, in Korean. News of accidents and deaths at those clinics also almost never gets reported in foreign media. Because DocfinderKorea places their clients’ safety as top priority, they will routinely check their partner hospital's safety standards and customer satisfaction every month, in order to recommend only the hospitals with the highest quality as guarantee. In fact, they are the only agency that gets information about medical malpractice from the Korea Medical Dispute Mediation and Arbitration Agency, a national medical dispute resolution service, in real time. I also found out later that my agent, Shin, used to work for a hospital, and thus is familiar with the process of plastic surgery procedures, instead of being a travel agent with a medical tourism focus. That is very important! Apparently it is a common practice for surgeons to step out while the patient is at the table to be replaced by junior surgeons or even... dentists, because they are unable to handle so many cases. Such practices are apparently rampant in clinics. That’s why we are at a disadvantage when it comes to selecting clinics and getting reviews from the majority of their clients (other than Chinese visitors of course) if we were to do it ourselves. This is where I find DocfinderKorea the most useful - they are able to recommend the best clinics for you based on super updated local intelligence on which ones are the safest and best. Another benefit, which you might not think of immediately, is if and when things go wrong (touch wood!) there will be someone you can go to immediately to help you, instead of being stranded in a foreign land that does not understand you. It’s almost like buying insurance for your peace of mind, really. If you are thinking of going to do some PS work in Seoul, here's how to start: Send an email to docfinder@naver.com with clear photos of your front and side profiles, and state what you’ll like to do. Ask for recommendations on what needs to be done, how much it will cost, and where. Also tell them you got the contact from me! You can then decide whether you’ll like to go for it or not, after which you should place a deposit to confirm your consultation/surgeries! The last point is really an honest opinion. When you are going overseas for medical reasons, the best is if you have local family there, but if you don’t, DocfinderKorea is probably the best alternative. We went straight to Banobagi (located at the Gangnam area) after touching down mid-afternoon from our flight. They have their own building with 5 stories. Basement is the surgical level, ground floor’s reception and level 2-5 are for the different surgical consults and check-ups. 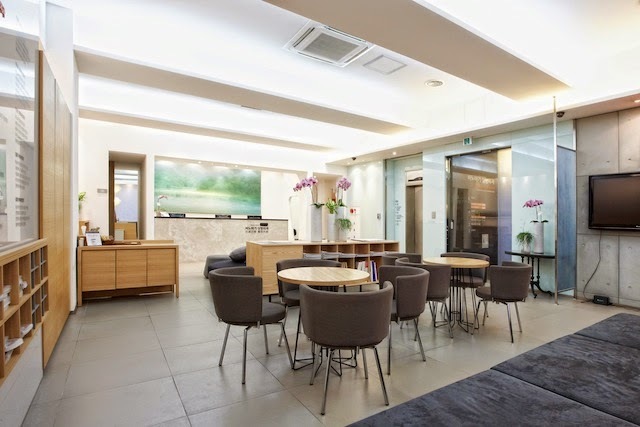 Banobagi is Seoul’s award-winning clinic in terms of quality and service. As a result they also charge a premium for their services. If I want to improve how I look, I want it to be done by the safest, best and most experienced, so cost is no issue. Any time I was there, there are a lot of locals, waiting for their turn. Banobagi is one of the few clinics (3%) in Korea that has invested in emergency equipment at the ready in case anything happens, even if they rarely do. In fact, the accident/complaint rate at Banobagi is probably close to zero for them to win at the medical awards and polls, and the reason why DocfinderKorea recommends them. The reception area had accolades and certificates they have won on display, so you know they are serious about this. Banobagi was also responsible for several transformations in the famous Let Me In show, which you can find out about here and here. 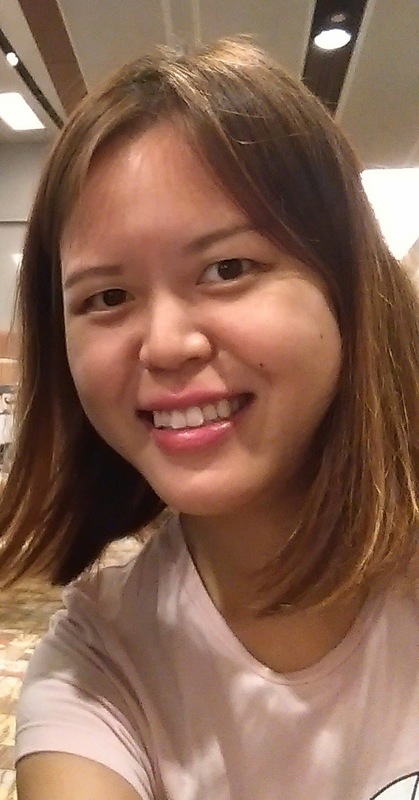 Upon reaching I met with the really pretty and friendly Claire, my personal English consultant and rep from Banobagi. She is always there whenever I visited, to ensure that things go smoothly and helped to translate with my surgeon, and the nurses. I also finally met up with Shin Park from DocfinderKorea. He was really sweet and patient with answering my queries before the trip via email/Whatsapp and made sure everything is taken care of, so I have nothing to worry about. I was so happy to meet with people who can speak English and explain what’s going on! There was a form to fill out, before taking my “before” photos. Can you see my slightly more protruding jaw/mouth from the side profile shot? I had originally thought of doing jaw surgery to fix it. My eyes were also really heavy-lidded, with one big and one small eye which is something I wanted to improve for sure. During pre-consultation, Claire pointed out instead of jaw surgery which will take 5 weeks, the area under my eyes is quite sunken, and making it fuller with fat grafting will help balance the face out. I was quite surprised because I did not realize that - all I thought of was having a bigger nose would help. What she said made sense though. After that we waited around again before consulting with Dr. Lee Hyun Taek. He is very youthful-looking, and has a humble and friendly demeanour despite him being a superstar surgeon. Why do I say that? Because the following are his credentials. For real. When he saw me the first thing he did was to touch the area just beside my nose, around my smile lines before looking closely at the rest of my face and the photos. Finally, he said in Korean (Claire translated) that I should get implants under my smile line because they will help lift up that area so my mouth does not seem so protruded (plus I will look more youthful). Again, I was surprised that there can be implants there. I never thought about that too! Moving on, he said I actually have quite a nice nose shape, except it is small compared to my face. I agree! So he drew the outline of the nose and explained carefully how he would make an incision there to put in the silicon implant for a higher bridge and put in some right ear cartilage for the tip so that overall I will have a bigger, more defined nose. (By the way, there was no need for digital "mock up" because I have faith in Dr. Lee to do what's best for my face). He said that actually my rhinoplasty will be more complicated than usual because of the skin elasticity not being able to take too much expansion, but he will try. It does sound challenging. For eyes though it will be a walk in the park because it's a non-incisional double eyelid surgery. Apparently I do not need ptosis correction; instead I just need to have some fats removed from my lids so they are less puffy before doing sutures to create that fold. Lastly, he suggested Acculift for the sides of my cheeks. Acculift is actually a non-invasive laser treatment that melts the excess fats that gave me a bit of a bulging side profile. Actually my face shape from the front is quite nice, he commented. Just that I have a slight protruding jaw/mouth and my cheeks are a little meaty. And that’s it! The consultation with Dr. Lee was actually quite fast. I was brought to another room where we discussed my options, and I decided to go for all four procedures that Dr. Lee recommended even though Acculift is probably not VERY important. Go big or go home right? Surgery for next afternoon 3pm booked! I was told to fast for 6 hours before surgery. We took 2 hours at Banobagi and ended at 6pm. Shin then drove us to our hotel at ibis ambassador Gangnam to check in before we went for dinner. The hotel was really nice! We had the luck to get a corner room with a super good view of the busy street on the 12th floor. The room was quite small but cosy enough. Our home for the next 13 nights! In my next post I’m going to talk about the actual surgery to the recovery process, plus what's everyone been waiting for - BEFORE and AFTER pics! Click here to read Part Two. Thanks for sharing. I am planning to do a PS because I have a very bad protruded jaw ever. Your shared info is really important to me. Thanks for sharing. I look forward for your result so I can become encourage enough to start the journey. Again thank you again and wish you all the best. YYYeEEEsSSS I love you so much! Thank you so much for sharing! I've been desperately looking for a good clinic/review with links that i can read and use. Thank you so much and for me its mainly my puffy lids and small nose. Hey I was actually reading this clinic korean plastic surgery in Singapore and then google and googled and found your blog. thank you alexis for sharing. I was thinking of doing motiva breast implants as well as eyebags removal and was wondering should I go taiwan, korea or Singapore. Your blog sharing is so heart-to-heart and sincere. really thanks for writing and sharing so much! Very nice story! Thank you for sharing your experience I’ll check with your surgeons soon as I’m considering to have Rhinoplasty done later this year. I already did my double-eyelid surgery with Dr. Pichet of Bangkok Plastic Surgery Clinic in Thailand. It’s a good experience too but I’m really interested in doing plastic surgery in South Korea. So look forwards to the new journey!